Church & State owner Yassmin Sarmadi and chef Tony Esnault have opened Spring in the historic Douglas Building in downtown L.A. The menu draws inspiration from Southern France. Spring, 257 S. Spring St., Los Angeles, CA 90012, 213-372-5189. Chef Neal Fraser (Redbird, BLD, Fritzi Dog) has opened Fritzi next to downtown's Arts District Brewing Company. In addition to hot dogs, the menu offers a burger, rotisserie chicken, steak frites and more. Fritzi, 814 Traction Ave., Los Angeles, CA 90013, 213-537-0327. Chef Kevin Meehan (formerly executive chef of Cafe Pinot) and wine director Drew Langley (previously of Providence) have opened Kali, a permanent home for their Kali Dining pop-up. Kali, 5722 Melrose Ave., Los Angeles, CA 90038, 323-871-4160. The Halal Guys started as a New York food cart and have since expanded with West Coast locations in Costa Mesa and Long Beach. A Koreatown location has also been announced. The Halal Guys, 1804 Ximeno Ave., Long Beach, CA 90815, 562-986-9038. Chef Thomas Ortega (Ortega 120, Amor y Tacos) has opened Playa Amor, a modern Mexican cantina in Long Beach. Playa Amor, Market Place, 6527 E. Pacific Coast Hwy., Long Beach, CA 90803, 562-860-2667. Obicà Mozzarella Bar, Pizza e Cucina has opened a branch in Santa Monica, joining its sibling at Westfield Century City (10250 Santa Monica Blvd., 310-556-2452). Expect regional Italian cuisine, lots of mozzarella (imported from Italy twice a week) and pizze offered in a modern environment. Wine and cocktails are available, as are desserts like tiramisu and classic panna cotta. Chefs will utilize produce sourced from local farmers markets. Obicà Mozzarella Bar, Pizza e Cucina, 606 Broadway, Santa Monica, CA 90401, 310-393-6633. Chef Josiah Citrin (Mélisse, Charcoal Venice) has opened an outpost of Dave's Doghouse at Staples Center. (The owner of the Arizona-based hot dog stand is Dave Cheren, who is Citrin's cousin.) Visitors to the arena can also sample Dave's Doghouse hot dogs at DraftKings Fantasy Sports Bar & Lounge. Dave's Doghouse, Staples Center, 1111 S Figueroa St., Los Angeles, CA 90015, no phone. Paul Martin’s American Grill debuted its 10th location in Pasadena’s South Lake Avenue shopping district January 18, 2016. Vaunted restaurateur Paul Fleming, who founded Fleming’s Prime Steakhouse & Wine Bar and co-founded P.F. Chang’s China Bistro, teamed with operating partner Joseph Corona and chef/partner Mark Fitkowski. The team is filling 7,200 square feet with more than 200 seats, including plush booths and a generous patio. Chef Fitkowski is serving signature Paul Martin’s dishes like salt-and-pepper shrimp with pesto aioli, brick chicken with za’atar croutons, and devil’s food cake with Amarena cherries and whipped cream. Regular nightly specials include Tuesday's fried chicken dinner and Sunday's prime rib dinner. Lunch & Dinner daily. Paul Martin’s American Grill, 455 S. Lake Ave., Pasadena, CA 91101, 626-773-7600. Maverick chef Roy Choi’s healthy fast food spot in Watts, Loco’L, has opened. Choi (Kogi, POT) teamed up with San Francisco chef Daniel Patterson (Coi) to “revolutionize” fast food. Loco'L, 1950 E. 103rd St., Watts, CA 90002, no phone. Recess Eatery has opened in Highland Park. Husband/wife team Sevan Abdessian and Tamar Kevonian are behind this 5,000-square-foot cafeteria-inspired restaurant designed by Spacecraft Design Group with a library theme and expansive outdoor backyard patio. Menu items feature the likes of eggs Benedict and spinach omelets for breakfast, and kale Caesar salad, seared ahi, filet mignon and pan-roasted chicken. Recess Eatery, 5022 York Blvd., Highland Park, CA 90042, 818-507-0592. Chef Bruce Kalman (Union) is bringing pasta to the masses at the Grand Central Market with his new fast-casual spot Knead & Co. Pasta Bar + Market. Expect Kalman’s savory house-made pastas like pappardelle with rabbit sugo on a rotating basis. Knead & Co. 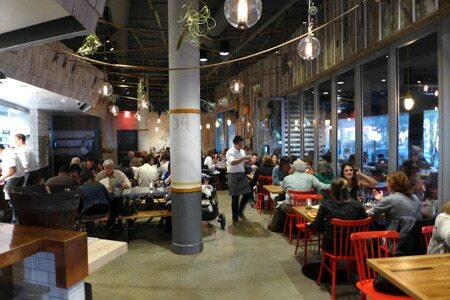 Pasta Bar + Market, Grand Central Market, 317 S. Broadway, Los Angeles, CA 90013, 213-624-2378. ., West Hollywood, CA 90069, no phone. Chef Mike Williams (Tipple & Brine) is opening a contemporary American restaurant with a southern accent, Norah, in West Hollywood. Southern regional dishes will take the spotlight, supported by seasonal cocktails by mixologist Hamish McShane. Norah, 8277 Santa Monica Blvd., West Hollywood, CA 90046, no phone. Roy Choi, who skyrocketed to culinary fame with his Kogi Truck’s famous Korean/Mexican fusion tacos, is now finally bringing them to a brick-and-mortar spot in Palms. Kogi Taqueria will debut in the former Sushi Central space. Kogi Taqueria, 3500 Overland Ave., Los Angeles, CA 90034, no phone. Former Spago chef Greg Schroeppel is now offering Hollywood denizens breakfast all evening at Nighthawk: Breakfast Bar, with the likes of bourbon challah French toast and ham Benedict fries, spiked cereal milk and mezcal coffee. Expect craft cocktails and DJs, too. Nighthawk: Breakfast Bar, 1638 N. Las Palmas Ave., Los Angeles, CA 90028, no phone. Officine BRERA, an Italian-influenced restaurant in downtown Los Angeles, will open on February 5, 2016. It's housed in a 1920s warehouse next to sister establishment The Factory Kitchen. Officine BRERA, 1331 E. Sixth St., Los Angeles, CA 90021, 213-553-8006. Lao Sze Chuan, which has locations in Chicago and Las Vegas, has opened in Glendale. The name refers to the authenticity of this Chinese restaurant --- a loose translation is “traditional from Sichuan,” which is the homeland of chef Tony Hu. Lao Sze Chuan, 152 S. Brand Blvd., Glendale, CA 91204, 818-552-8888. Tar & Roses has re-opened. 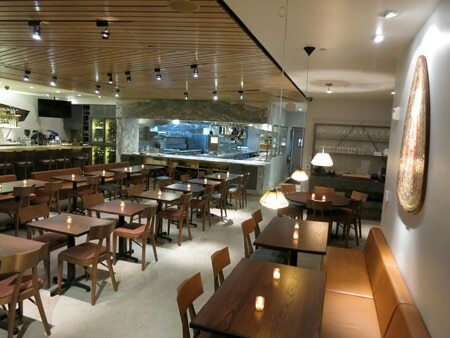 The Santa Monica restaurant had been closed for construction repairs after a fire in the hood of the wood-burning oven. Tar & Roses, 602 Santa Monica Blvd., Santa Monica, CA 90401, 310-587-0700. 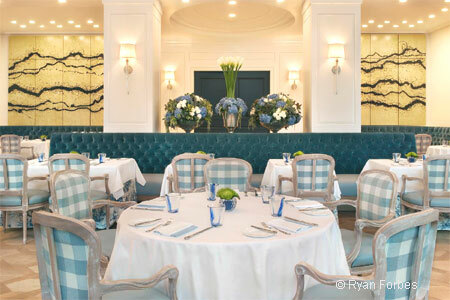 The Belvedere in The Peninsula Beverly Hills has re-opened after extensive renovations. 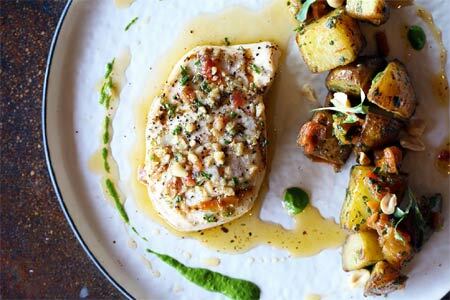 Mediterranean-inspired fare highlighting seafood has replaced the former menu of contemporary American cuisine, with the kitchen still overseen by executive chef David Codney. Outdoor dining is a significant component of the evolved restaurant, complemented by a refurbished interior. 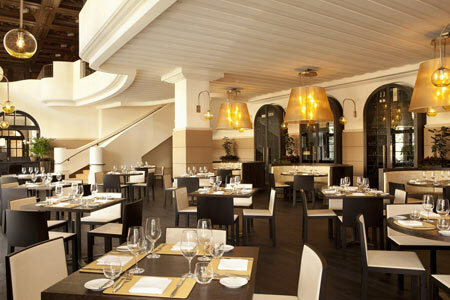 The Belvedere, The Peninsula Beverly Hills, 9882 S. Santa Monica Blvd., Beverly Hills, CA 90212, 310-788-2306. Spacecraft Group and designer Kris Keith have designed Trejo's Tacos, a new modern Mexican cantina and restaurant from actor Danny Trejo. The 1,000-square-foot space will feature Mexican-themed murals made from custom tiles and will include outdoor seating. Trejo's Tacos, 1048 S. La Brea Ave., Los Angeles, CA 90019, no phone. A posh stretch of Melrose in West Hollywood will soon be home to Le Relais de l’Entrecôte, a franchise of the Parisian chain devoted to a single menu item --- steak frites --- along with French wine and desserts. 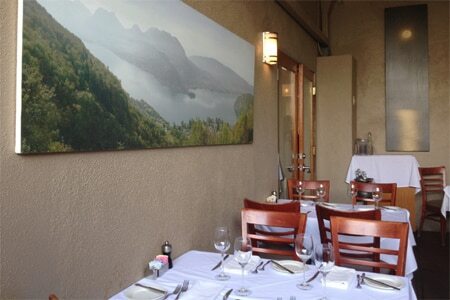 Le Relais de l'Entrecôte, 8755 Melrose Ave., West Hollywood, CA 90069, 310-358-9021. Souk Shawarma is now open in DTLA, helmed by chefs Andrew Faour and Matt Carpenter (Bastide, Momed). The restaurant offers seven kinds of elevated grilled shawarma --- including turkey/duck, lamb merguez sausage, chicken, beef and vegan --- as well as falafel, fattoush salad, chicken wings and feta-topped fries. Lunch & Dinner daily. Souk Shawarma, 1111 Wilshire Blvd., Los Angeles, CA 90017, 213-935-8873. Pono Burger will bring its organic, island-inspired burgers to the Sunset Strip. This new location will also feature a full bar, with a menu created by Brian Van Flandern (The Food Network’s "America's Top Mixologist). 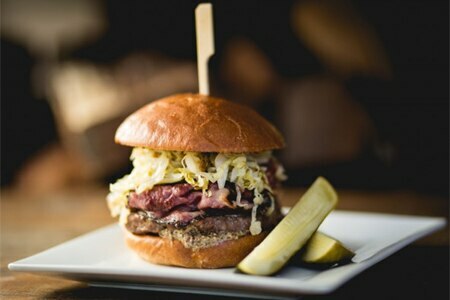 In the meantime, patrons can visit the original Pono Burger in Santa Monica. Pono Burger, 8830 Sunset Blvd., West Hollywood, CA 90069, no phone. Chef/restaurateur Kazunori Nozawa and his Sushi Nozawa team have brightened up the Hollywood sushi scene with SUGARFISH Hollywood, located in the redeveloped historic Columbia Square building on Sunset Boulevard at Gower. High ceilings and blond wood frame the 40-seat restaurant designed by Glen Bell of DEX Studio. The menu highlights the franchise’s popular “Trust Me” selections comprised of sashimi, nigiri sushi and hand rolls, but fans will also find Nozawa favorites of blue crab and lobster rolls, fresh oysters, uni and unagi, as well as specials like albacore belly and toro when available. To drink there’s beer, wine and sake. SUGARFISH Hollywood, 6115 W. Sunset Blvd., Hollywood, CA 90028, 323-320-4800. Wallflower is open on Rose Avenue, bringing Southeast Asian flavors to a modern space in Venice. Expect street snacks like satay, duck lumpia and crab rendang to start; larger dishes range from nasi goreng, oxtail soup and bbq pork belly to fish in banana leaf and wok-tossed lobster. Wallflower, 609 Rose Ave., Venice, CA 90291, 213-373-6609. Tempura Endo in Beverly Hills is open for dinner Monday through Saturday. Guests enjoy multi-course tasting menus of tempura, followed by a Japanese tea ceremony. Tempura Endo, 9777 Santa Monica Blvd., Beverly Hills, CA 90210, 310-274-2201. Herringbone at the Mondrian Los Angeles has been replaced by Ivory, a new dining concept with a menu designed by chef Brian Malarkey. Ivory, Mondrian Los Angeles, 8440 Sunset Blvd., West Hollywood, CA 90069, 323-848-6000. The W Los Angeles West Beverly Hills adds another dining spot to its roster that already includes STK steakhouse. Hideout, a new poolside spot by the One Group (STK), will have executive chef Robert Liberato (BLT, Son of a Gun) overseeing the kitchen and creating a California menu. Hideout, W Los Angeles - West Beverly Hills, 930 Hilgard Ave., Los Angeles, CA 90024, 310-208-8765. Joe's in Venice has temporarily discontinued lunch service. Expect it to return in the spring. Joe's, 1023 Abbot Kinney Blvd., Venice, CA 90291, 310-399-5811. Chef Ricardo Zarate (Mo-Chica, Paiche) will return to the local dining scene with a new Peruvian restaurant in the former Comme Ça space (8479 Melrose Ave.) in West Hollywood. A name for the project has not yet been announced. Mixologist Julian Cox has moved to Chicago to work with Lettuce Entertain You Enterprises (Everest, Tru, etc.) He has crafted cocktails for many Los Angeles restaurants, including Sprout LA’s Bestia, Redbird, Rose Café-Restaurant, etc. 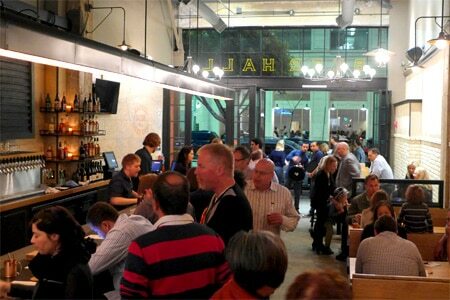 Craft beer bar Barrel Down in downtown Los Angeles has re-opened after its temporary closure. The restaurant had suffered flooding in the basement. Barrel Down, 525 W. Seventh St., Los Angeles, CA 90014, 213-232-8657. Los Feliz mourned the loss of Mother Dough, but coming soon to the Hollywood Boulevard space is a yet-unnamed restaurant from Brooklyn chefs Sara Kramer and Sarah Hymanson (Glasserie, Blue Hill) who are teaming up with fellow chefs Jon Shook and Vinny Dotolo (Animal, Son of a Gun) for a synergistic, modern Mediterranean concept. Kramer and Hymanson currently own the Madcapra falafel stand in Grand Central Market, but rumor has it that the new eatery won’t offer falafel. Andrew (Dru) Betita has been named executive chef of aestus, replacing Alex Ageneau. Betita was most recently chef David LeFevre's sous chef at M.B. Post and Fishing With Dynamite. 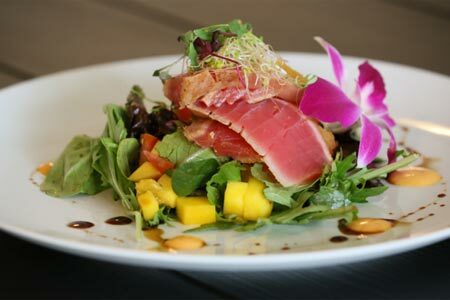 aestus, 507 Wilshire Blvd., Santa Monica, CA 90401, 424-268-4433. Nick Erven has joined fundamental LA in Westwood as executive chef. Most recently, he was serving up exciting, ambitious fare at Saint Martha, which has since shuttered. 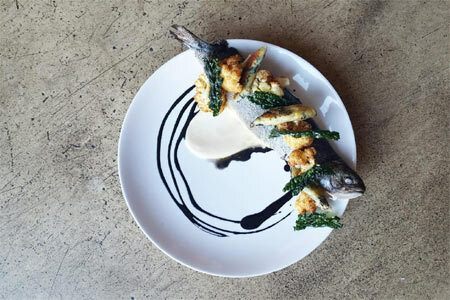 New additions to the menu include whole trout with cauliflower, kale malfatti and black butter. fundamental LA, 1303 Westwood Blvd., Los Angeles, CA 90024, 310-444-7581. Chef-owner Joe Miller has announced he'll be closing his pioneering Venice restaurant, Joe's, after 24 years in business. Make your farewells to one of the community's premier dining destinations before the last night of service on February 14, 2016. Joe's, 1023 Abbot Kinney Blvd., Venice, CA 90291, 310-399-5811. P.F. Chang's China Bistro at the Beverly Center closed its doors in January 2016. P.F. Chang's China Bistro, Beverly Center, 121 N. La Cienega Blvd., West Hollywood, CA 90048, no phone. Pink Taco at Westfield Century City has closed. The Sunset Strip location remains open. Pink Taco, Westfield Century City, 10250 Santa Monica Blvd., Los Angeles, CA 90067, no phone. Harold & Belle's is set to re-open in early February 2016 after being closed for renovations. Harold & Belle's, Jefferson Park, 2920 W. Jefferson Blvd., Los Angeles, CA 90018, 323-735-9918. Bow & Truss in North Hollywood is temporarily closed for remodeling. 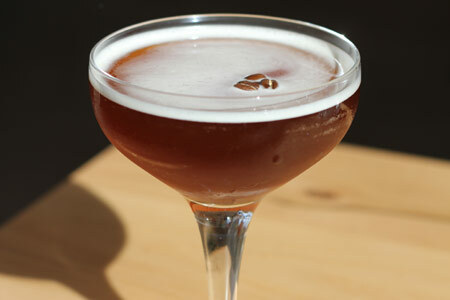 Bow & Truss, 11122 Magnolia Blvd., North Hollywood, CA 91601, 818-985-8787. Paul Hibler’s Superba Snack Bar is closed as of January 22, 2016; Hibler plans to open a new concept in the space sometime in the future. 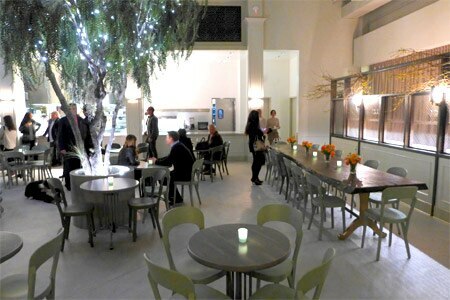 Superba Snack Bar, 533 Rose Ave., Venice, CA 90291, 310-399-6400. Scarpetta at the Montage Beverly Hills will close April 2, 2016. In its place, New York restaurateur Geoffrey Zakarian will make his West Coast debut with Georgie and The Garden Bar. The former will be an American restaurant serving breakfast, lunch and dinner. Scarpetta, Montage Beverly Hills, 225 N. Canon Dr., Beverly Hills, CA 90210, 310-860-7800. The L.A. LIVE location of The Farm of Beverly Hills has closed. The original restaurant in Beverly Hills remains open. The Farm of Beverly Hills, L.A. Live, 800 W. Olympic Blvd., Los Angeles, CA 90015, 213-747-4555. Catch & Release in Marina del Rey has closed to make way for a new concept from chef Jason Neroni. It will be a "casual family-style Italian restaurant" scheduled to debut in Spring 2016. Catch & Release, 13488 Maxella Ave., Marina Del Rey, CA 90292, no phone. BJ's Restaurant & Brewhouse at Westfield Century City will close January 24, 2016. BJ's Restaurant & Brewhouse, Westfield Century City, 10250 Santa Monica Blvd., Ste. 480, Los Angeles, CA 90067, 310-432-0470. Kris Tominaga’s Santa Monica restaurant Cadet has closed. Cadet, 2518 Wilshire Blvd., Santa Monica, CA 90403, 310-828-3300.